There is a growing trend for companies to acquire technologies from external sources rather than using the firm’s own internal research and development activities. Specialist technical expertise and capabilities are often difficult to obtain and a firm may not have the ability – or wish to commit the resources – to develop a technology internally. Bringing in new technologies can provide the company with the opportunity both to develop new products and to enter new markets. Technology can be acquired in a number of ways. Understanding the various options available and deciding which might be best in particular circumstances can be challenging. 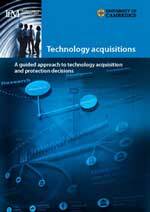 The findings of the research have been captured in a report: Technology acquisitions: A guided approach to technology acquisition and protection decisions. The report provides structured guidance to help firms explore the different options and to understand the trade-offs that may be necessary. This report is particularly relevant for managers involved in technology acquisition decisions such as senior managers in R&D and supply chains, (open) innovation managers, IP officers, product, business and finance managers. It should be particularly helpful for those who tackle these difficult decisions for the first time. The document might also be useful to those who are selling their technology to help them anticipate potentially contentious discussions. Copies of the report are available, please visit here for more information. 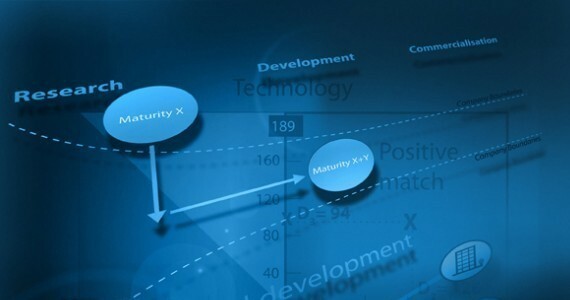 A variety of different research methods were used to identify the key dimensions relating to the issues of early stage technology acquisition. These included literature reviews, case studies and group discussions. The research benefited from the support of a wide community of practitioners, senior technology managers from large and small firms with experience of acquiring technologies, as well as lawyers who support firms during technology transactions. The project also organised two workshops, each of which included three focus group discussions. Attendees were mainly from the UK and covered a range of different sectors including aerospace, fast moving consumers goods, chemicals, mechanical engineering, defence, printing and technical consultancies. The contributors to these events were given access to the interim findings and were encouraged to discuss their own experiences. For further information about this research project contact us.